Dr. Meiches’ article delves deep into the debate over humanitarian intervention, focusing on the implications of humanitarian practices. By focusing on non-human actors, the article has to weigh the limits and benefits of humanitarian ethics as a model of responsiveness to political problems, reflecting on the types of relationships that sustain generosity and care while considering alternative models for humanitarian practice. It examines the problematic aspects of humanitarianism by looking at what approaches are worthwhile, providing new insights into why specific practices are successful or, alternately, promote exclusion and violence. Dr. Meiches’ approach shows how connections formed between human and non-human actors are critical to the success of humanitarianism. Addressing the unique problems posed by the appropriation of non-human labour in the sector also introduces different ethical stakes for the future of humanitarianism. Previous literature on dogs recommends using them in humanitarian scenarios not just for their work, but also for emotional support, chronic pain management, and straight-up aesthetic pleasure. Dr. Meiches examines the previously overlooked study of demining dogs for the distribution and delivery of aid or relief. 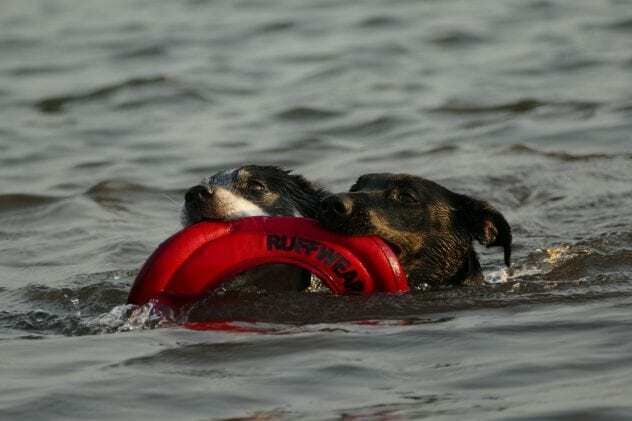 He argues that previously, the use of dogs in humanitarian scenarios was only analysed under an anthropocentric perspective, assessing the value of dogs only in terms of their contributions to human welfare. For Dr. Meiches, this approach is reductive. Dogs began to be used to identify mines during World War II. Since then, they have worked alongside the United Nations Mine Action Service, Marshall Legacy, USAID, and Ronco as well as other organisations. Research has found that compared to human deminers, dogs have a variety of advantages: they travel over larger territories than humans on foot, reduce the environmental impact of demining operations, differentiate better between metal and plastic components of explosives, and can locate tripwires that are camouflaged from human observation. 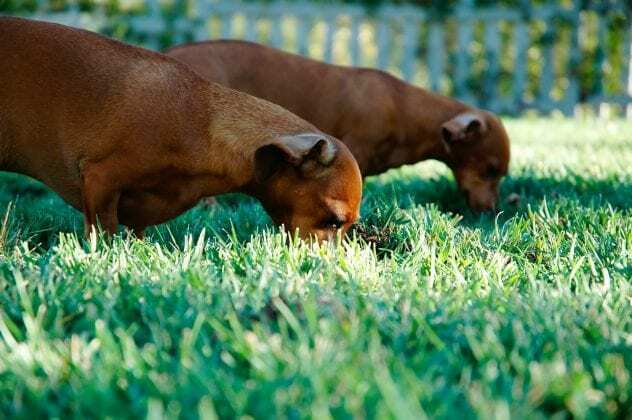 However, dogs’ demining abilities are a result of relationships formed between the dog and the social setting of humanitarianism, thanks to changes to the social connections between demining units and local communities. Bonding with dogs improves deminer-community relations and changes demining work by turning it into a more joyful process and reducing the pervasive trauma and fear that come with it. The relief aspect of demining work by dogs is often overlooked in research, but it visibly alters the basic conditions of the demining operations “by potentially converting emotionally burdensome tasks into more dynamic, co-creative process”. 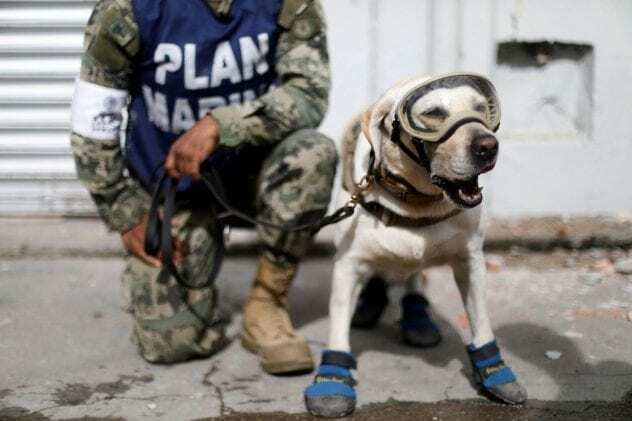 However, the use of demining dogs doesn’t come without its controversies. Dr. Meiches argues that the anthropocentric framework justifying their use “treats canine life as exposable and disposable,” with dogs in humanitarian scenarios being “devalued as a form of non-human life unworthy of the dignities and protections extended to humans, but simultaneously lauded as a brave benefactors and, occasionally, forbearers of humanitarian virtue.” Yet, the success of dog deminers shows that a potential collaboration between human and non-human actors might provide better care and generosity than human-human relationship in humanitarian scenarios, in a form of aid that might be more accessible to many communities. Yet, for Dr. Meiches the attention given to drone warfare has eclipsed the use of drones in humanitarian scenarios, for relief efforts. But are drones just tools in the hands of whoever manoeuvres them, or do they change political processes? For Dr. Meiches, using drones in humanitarian contexts doesn’t make them unproblematic, but if they extend our access to inhospitable environments their use is justified. 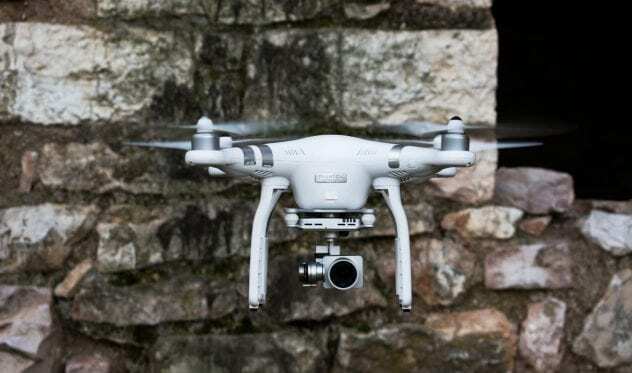 Still, although humanitarian drones may be unarmed, the populations they help and observe won’t necessarily be able to differentiate between warfare and aid drones, which might result in further anxieties and, potentially, more violence. A potential solution to the drone problem may be the use of the the Pouncer, an edible drone which can “bio-energetically replenish the body of an aid recipient and, in doing so, disappear in the act of giving itself to the other”. This implies the need of different ethical models, with the Pouncer highlighting non-human generosity within aid relationships. Dogs and drones are only a small sample of the non-human entities at work in humanitarianism. Their presence signals a need to reconsider humanitarian principles, practices, and politics and to complicate efforts to theorise the non-human in international relations.